Robust construction in stainless steel. Robust construction in stainless steel. Control panel with 20 programs. Max. tray dimensions to be packed: 1/2 Gr. 325 x 265 x 115 mm. Interchangeable dies in a few minutes. Construction in stainless steel and anodized aluminium. Very compact equipment, it needs minimal space. Vacuum pump integrated inside the cabinet. 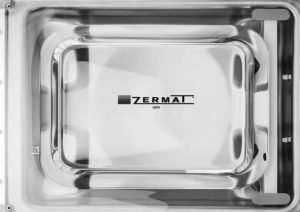 Programmable vacuum level and percentage of gas injection. Perimeter cut of the top film in the tray contour. Manufacture of dies adequate to each tray. 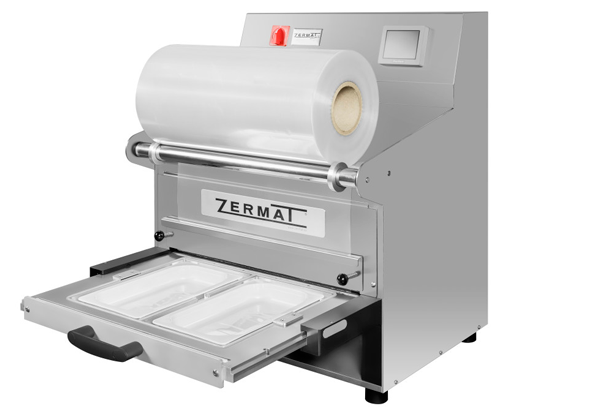 Optional sealing system with film flap for easy-open. Easy and intuitive control panel. 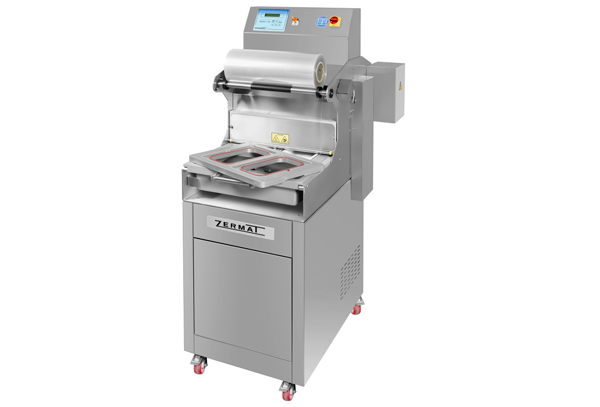 Simple and robust machine with ergonomic design for the user. 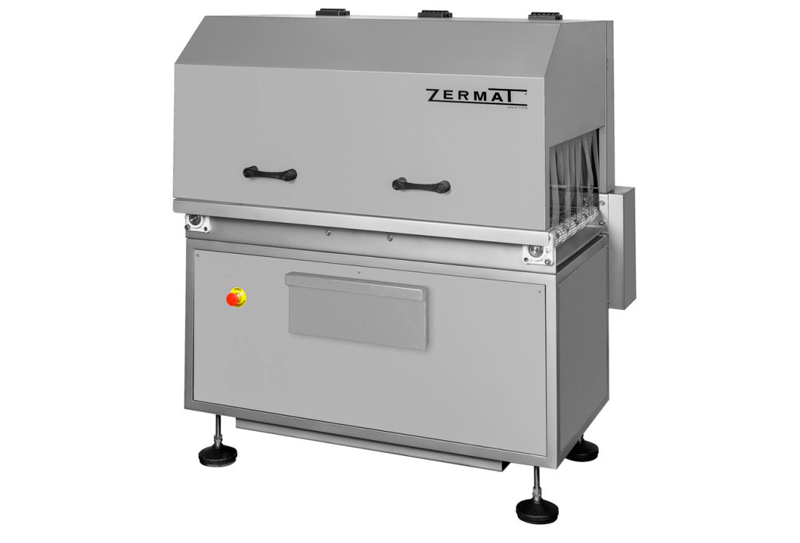 Integrated system for automatic winding and tensioning of the top film. Sealing time control (seconds) and adjustable die temperature. Control panel with stop button to interrupt the cycle (with or without sealing). Film reel-picker arm on the back. This tightens the film at the time of sealing for a better finish. ​Extra dies to work in different formats (as required or pre-designed). 50lts compressor. Special vacuum pumps. Want more information about TB 2?